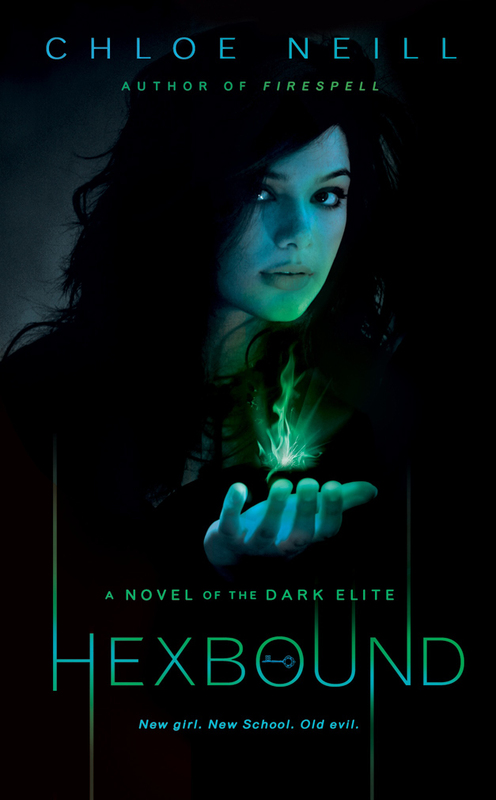 Chloe Neill has just released the cover art for her next book in the Dark Elite YA Series, HEXBOUND. I absolutely loved the first book in the series, FIRESPELL (read my fangirl!review). Isn’t it stunning? I love some of the little details – the key in the O, the elongated letters from the Firespell cover, the peek-a-boo hair… Absolutely brilliant. Alas, Hexbound doesn’t come out until January 2011. But if you haven’t read Firespell yet, get to it! I ordered Firespell this week. So excited to read it. I love this cover too. The model is v.pretty – reminds me of Rachel Bilson, but with fuller lips! Yeah! RBils for the movie roll. She needs some work! haha! That would be fun. I’ll do one when I read the book and we can compare! Amazon is being slow though. I ordered it a few days ago and they haven’t even shipped yet! Have not read Firespell, but both cover are quite appealing. Love the blues and greens in Hexbound.